Bekir Bayrakdar was born in the vill of Karamürsel in the town of Ereğli, in 1971. He completed her primary and secondary education in Ereğli Primary School. He completed his high school education at Izmit Industrial Vocational High School. In 1995, he graduated from Istanbul University, Faculty of Political Sciences. He was appointed as Assistant Tax Inspector in 1996 and than he was appointed as Tax Inspector in 2001. 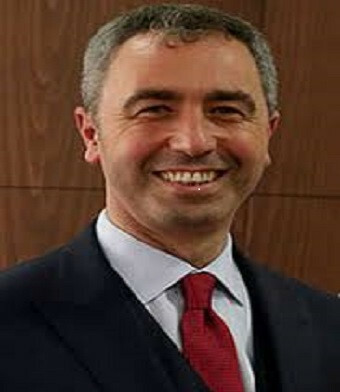 Bayrakdar who had been working as the Head of Kocaeli Tax Office between 28.11.2005 and 29.02.2008, had been working as Provincial Treasurer of Istanbul since 03.03.2008. Bayrakdar was appointed as the General Directorate of Public Accounts on 08 January 2014. He has been working as the Head of Istanbul Tax Office since 08.01.2015.